In the Hindi scholarship exam conducted by National Hindi Academy and MHRD for students of CBSE and ICSE schools in November 2017, Aggy T.V. 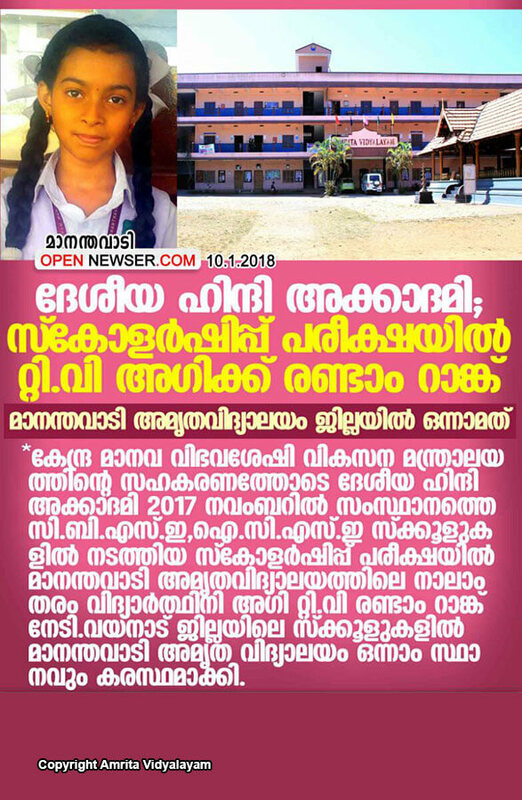 of Class IV from Amrita Vidyalayam Mananthavady secured Second rank. Amrita Vidyalayam Mananthavady also secured the First place among all schools in the district of Wyanad.